Today, the University of California will defend an injunction that has enabled 55,000 immigrants brought to the U.S. as children to renew protections through the Deferred Action for Childhood Arrivals (DACA) program, despite Trump administration efforts to rescind the program earlier this year. UC was the first university to file suit in federal court to retain DACA, arguing the administration acted unlawfully when it sought to end the program on March 5, 2018. In January, U.S. District Judge William Alsup heard the case and sided with the plaintiffs, ordering the government to continue processing renewals of DACA for eligible residents who already had DACA protections. At a tele-press conference last Friday, attorneys from Covington & Burling, Jeffrey Davidson and Alexander Berengaut, laid out their case before the 9th U.S. Circuit Court of Appeals. Founded nearly 100 years ago, the firm Covington & Burling has been representing UC pro bono on this case, securing the preliminary injunction in January and providing legal counsel to the university. 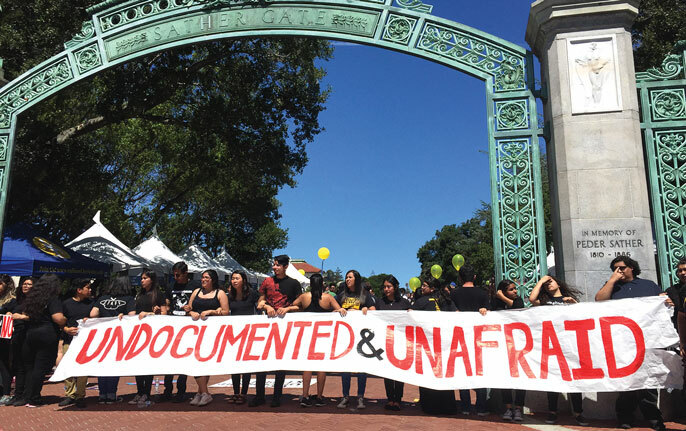 The attorneys urged DACA-eligible UC students to keep their paperwork up-to-date. Officials are concerned some may not be renewing their status out of fear of the program’s ultimate fate. “We are encouraging everyone to continue renewing DACA applications and to do so well before their renewal deadline comes up,” Berengaut said. He expressed confidence in the plaintiffs’ position. “Our case is part of a broader effort to challenge the rescission of DACA on legal and constitutional grounds,” he said. Following Judge Alsup’s decision, judges in two other federal court cases challenging DACA — in Brooklyn and the District of Columbia — also sided against the federal government. “This shows the case is not about politics but is based on the law about how government decisions should be made,” Berengaut said. UC Regents, et al. v. U.S. Dept. of Homeland Security, et al.